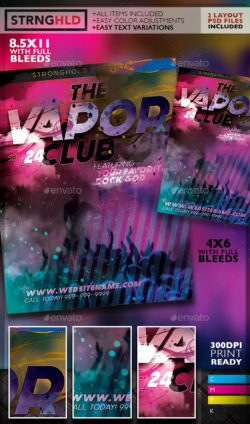 Stronghold Branding: Vapor Club Event Flyer Template ABOUT: Here is a fun play on a coloful flyer! Colorful particles that are simple to use smart .. 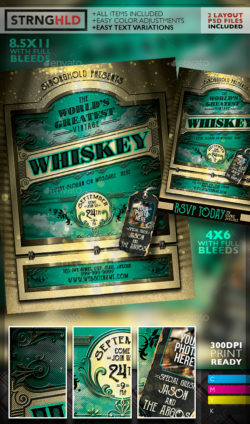 Stronghold Branding: Vintage Whiskey Flyer Template ABOUT: Here is a great throwback to vintage labeling and whiskey bottles for all your .. 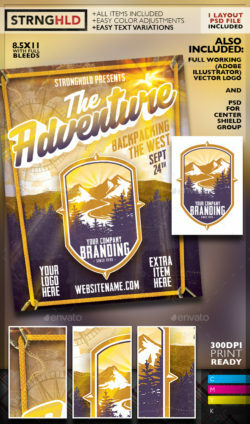 Stronghold Branding: Outdoor Adventure Flyer Promo Kit ABOUT: Here is a fun distressed play on an outdoor event poster that could be used .. 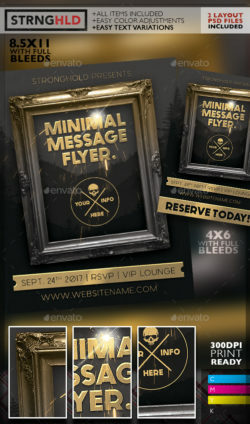 Stronghold Branding: Vintage Gold Frame Event Flyer ABOUT: Here is a very clean and minimal design for all you messaging! 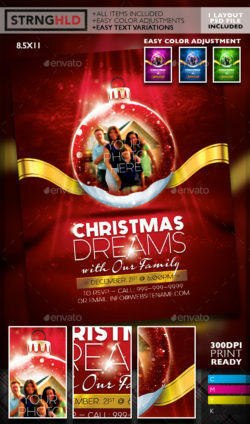 INCLUDED : TWO – ADOBE .. 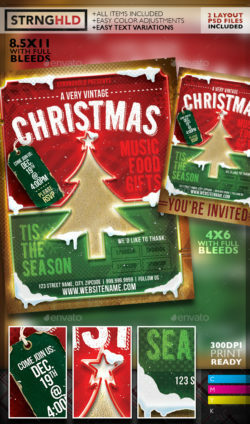 Stronghold Branding: Vintage Christmas Neon Event Flyer ABOUT: Here is a fun distressed play on an old style neon sign with the message .. 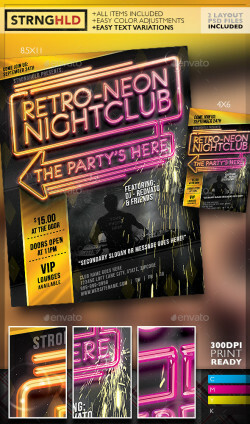 Stronghold Branding: Retro Neon Nightclub Flyer Template ABOUT: Here is a fun play on a retro flyer! Color neon tubes that are simple to use smart .. 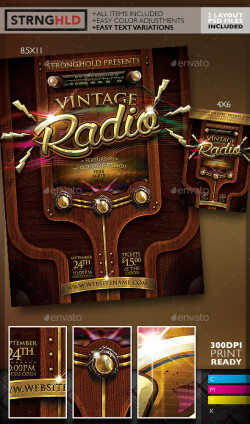 Stronghold Branding: Vintage Radio Event Flyer ABOUT: Need to have a simple and sweet radio or TV inspired retro look…Here is a great .. 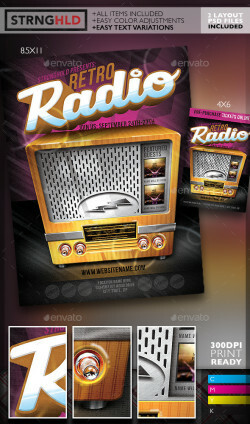 Stronghold Branding: Retro Radio Event Flyer Template ABOUT: Need to have a simple and sweet radio retro look…Here is a great place to start! .. 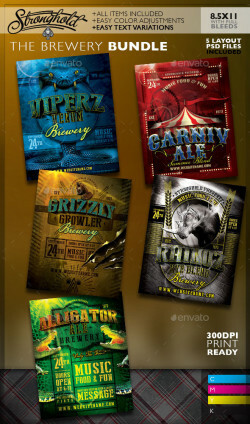 Stronghold Branding: Vintage Brewery Poster Bundle About: Use these fun, brewery style posters, with great animals and hi rez characters…eye ..